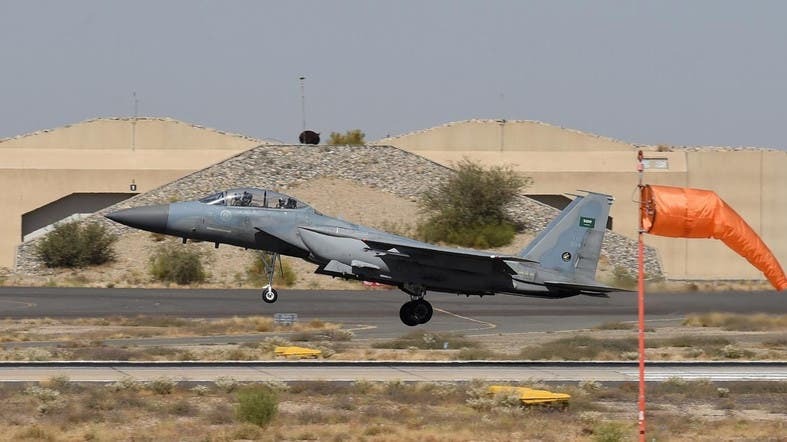 Around 13 air strikes were launched on Wednesday by Arab coalition fighter jets targeting a Houthi training camp near Dhamar province, 100 kilometers south of the capital Sanaa. Local sources said that the coalition supporting Yemeni legitimacy targeted the training camp in Qaa al-Hoql near the Bani Hatim region, west of the Dhoran Aans district. The sources added that the Houthi militia training camp in Qaa al-Hoql was located at a large field. Recruits were trained at this camp before being sent to the frontlines. Yemeni Popular Resistance forces, meanwhile, claimed the operation that targeted missiles and weapons cache site near Taiz Street south of the capital early on Wednesday.